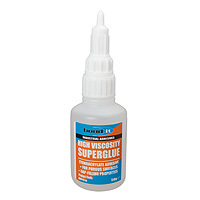 Product information "High Viscocity Super Glue (50g)"
Bonds many materials in seconds! Fast-acting, water-resistant high viscosity adhesive, many uses on many materials, such as plastics (including uPVC), woods, metals, ceramics, rubber and fabrics. Cyanoacrylate adhesive super glue is quick to set, often in under a minute, which can be reduced to seconds when used with a Super Glue Activator. A normal bond will reach full strength and waterproof within 2 hours. This super glue is a really effective product when used on its own but also when combined with a non-staining Super Glue Activator it becomes even more incredible, providing bonding in seconds. Combined Super Glue + Activator Mitre Bonding Kits are available. 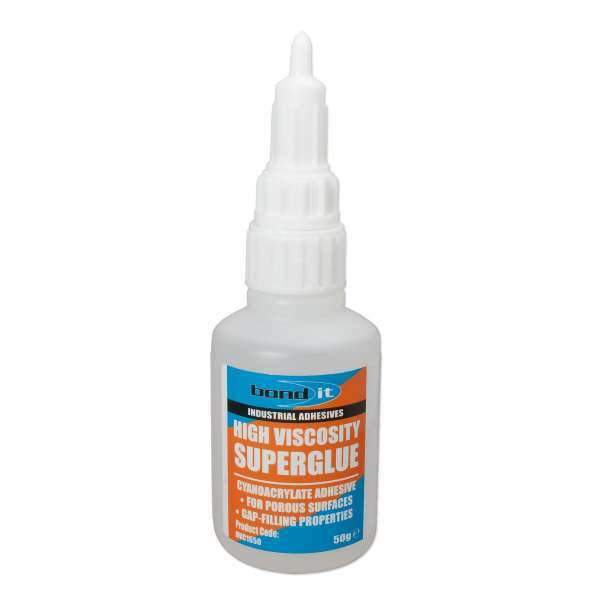 Related links to "High Viscocity Super Glue (50g)"
Customer review for "High Viscocity Super Glue (50g)"